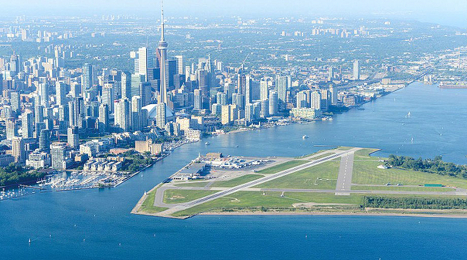 On Thursday, May 28, the Toronto Society of Architects held a public meeting on the Island Airport. It was a clash between the forces of the future, expressed by Ken Greenberg, architect and planner, and the past, advocated by Robert Deluce, CEO of Porter Airlines. These are some lines from Ken Greenberg’s presentation that I recorded. “David Crombie advocated a clean, green, accessible Waterfront. That is why he is opposed to jets at the Island Airport.” It upsets the balance. Greenberg’s presentation was a review of the enormous changes that have come to the Waterfront since 2002. He talked about the rebuilding of Queen’s Quay, the series of parks that stretch from Ontario Place and Confederation Park, through Fort York to Trinity-Bellwoods. The parks along the water’s edge, new condos, and economic development. By contrast Robert Deluce tried to sell his jets at the Island Airport scheme. I didn’t take a verbatim record, we have all heard his mantra before, but this is how I remember his points with my criticisms in brackets. There is no way that the Island Airport will become a massive facility. The airport is just too small. What was not mentioned by either of the two speakers or the panel of experts were the following. The extension of the runways and the impact of lake and harbour filling on boaters and water quality. The Island Park and its use by 1.5 million people every year. The need for the Island Airport now that the UP Express is soon to open. Safety such as bird strikes, tall buildings, and the difficulty of rescue operations if a commercial plane landed in the water. Public uses for the 215 acres of airport lands if Billy Bishop is closed.